Although Microsoft has added hundreds of new features in the upcoming Windows Phone 8.1 update, a popular demand was still missing from it. 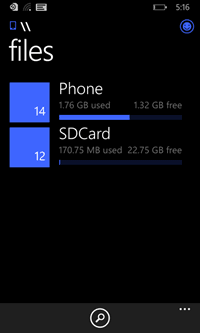 Just like Android, people wanted support for native file managers in Windows Phone 8.1 operating system so they can use it to move files between folders, internal storage and external storage. Today, Joe Belfiore, VP of Windows Phone team held an AMA (Ask Me Anything) session over Reddit where he answered some important questions. But the most important feature that he confirmed was about the File Manager. He confirmed that Windows Phone 8.1 will get a native File Manager app as soon as this month. He also confirmed that File Manager was the most requested feature in Windows Phone. Not only he shared this sensitive information, he also shared some of the screenshots of the upcoming File Manager. 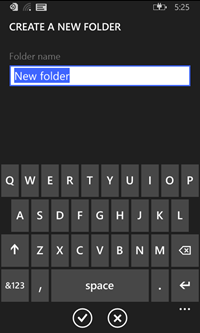 Earlier, only traces of File Picker and File Saver were found in the Windows Phone 8.1 update, which can easily be used to create a File Manager app. The Windows Phone 8.1 update is still in Beta and it is only available to users with Windows Phone developer accounts. It brings many useful and requested features such as Cortana Voice Assistant, Swipe Typing, Action Centre, etc. Are you excited about the inclusion of file manager all these new features? 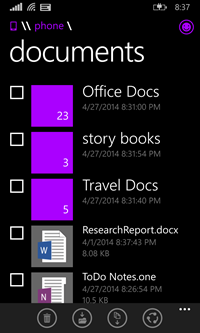 Hopefully file manager will make the way to Windows Phone 8.1. A file manager is a must especially working with files that aren’t recognized by the OS. Hope to see some more basic functions such as native video calling and downloading of different file formats make the way to the OS in next update. Microsoft is really listening to everybody. That’s great thing. Proud to be a WP 8.1 user.